With Clean’s new i-Tasks library you can generate a multi-user workflow system for the web. It makes use of the i-Data library with which web forms can be generated and handled automatically given a static type of a data structure. These Clean libraries use generic programming techniques which enables a very compact and concise notation. and download the latest i-Tasks library. And please do read the enclosed Read-Me ! for a short introduction into i-Tasks have a look at this power-point presentation. Surf to the DEMO page. Below we give a short idea about what i-Tasks are. More examples are given in the DEMO page. The first two lines are standard, the third lines is the main function. It automatically links in an http server (doHtmlServer ) for easy testing of a user defined web application defined by the function simple. This function uses the basic i-Tasks editor editTask. It can generate an html form editor for any type. The editor does need an initial value of this type. But in this case a default value (0) is generated by createDefault. The function createDefault can create a default value for any first order type. With the button "Done" the user can indicate that the i-Task editor is finished. This example generates the following web page in which repeatedly an Integer value can be typed in until the "Done" button is pressed. First an integer value is asked from the user returning the value v1, then another one is asked returning the value v2, then some html code is printed [Txt "+", Hr  ] and the sum of these two values is returned and printed return_D (v1 + v2). Notice that the code of an i-Tasks application is very easy to read, certainly for functional programmers. The reason is the following. Although the application is started from scratch every time a new event is received from the client, it remembers its state and finds its way back to the point where it was handling tasks the previous time. So the programmer can read the code “line by line” although it is not executed in this way at all. The application remembers which tasks are finished and which tasks still have to be done. Another reason for the simplicity of the code is that almost all information is saved and retrieved automatically. Information can be stored in html pages, in files or in a relational database just by changing an option. In fact, all workflow patterns as they are commonly can be found in commercial workflow systems are supported. But there are many advantages over many commercial systems. Tasks are fully dynamic: what a task is doing may depend on the work produced. One can define user defined tasks. Tasks can be defined recursively. Thanks to polymorphism and overloading user defined re-useable tasks can be defined. Tasks are fully compositional: any combination of tasks made with the combinators can be re-used again as a task. Tasks can be higher order: not only values can flow from one task to another, but it can be tasks! To see more complicated examples: goto the demo page. 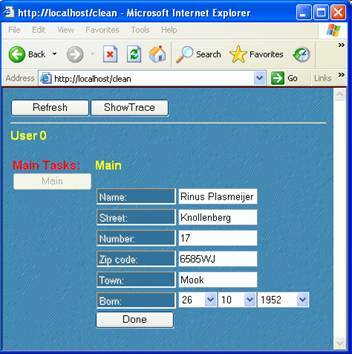 Tasks can be assigned to different users. Each user has a unique id. 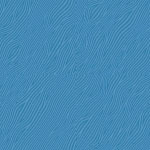 This id can be assigned (@::) to any task or any combination of tasks. For instance in our simple example we can specify that the first number has to be given by user 1, the second by user 2, the result is shown to the default user (which is user 0). So, all participants in an i-Task workflow application work with one and the same application. This makes it relatively easy to reason about the system. The system can deal with multiple users and will show to each user only the part of the information which is intended for him or her. 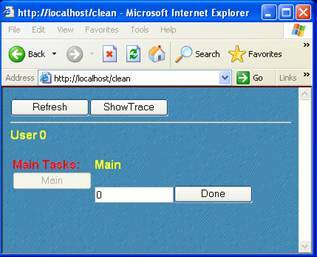 Login scenario’s can be programmed as an i-Task as well.